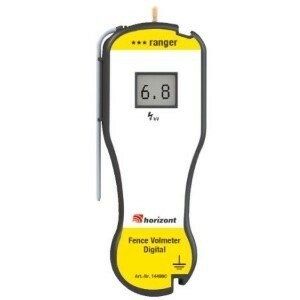 This meter will give an accurate digital reading of a fence's voltage to within 100 volts. It can be used on fences with voltages from 200 volts up to 9900 volts. It is very easy to use! 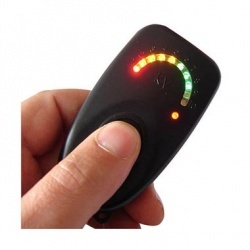 With a digital fence meter it is a lot easier to track down any faults on an electric fence. A standard electrician's voltmeter or electronic multimeter does not work with electric fences due the very short electrical pulses on an electric fence. It can also be used to test the earth / ground system of a energiser. Comes with a 9v battery and belt bag and is ready to work. This volt meter automatically switches itself on and off. Ideal for the owner or user of a large fence system.